Can't say for sure but i usually use the index when i use it or if i use it. For rotation or placement schemes on the shader for specific algorithmic motion effects. So i don't have to pass a full matrix and or update it. Basically if each quad has its own id and they are incremented as you add them then you can multiply them or divide them or modulus them by some value, frac them pass in some additional time value ect... Then apply that as radians or a positioning index to do some effect fairly common with particles. I imagine he is doing something similar by his notes. 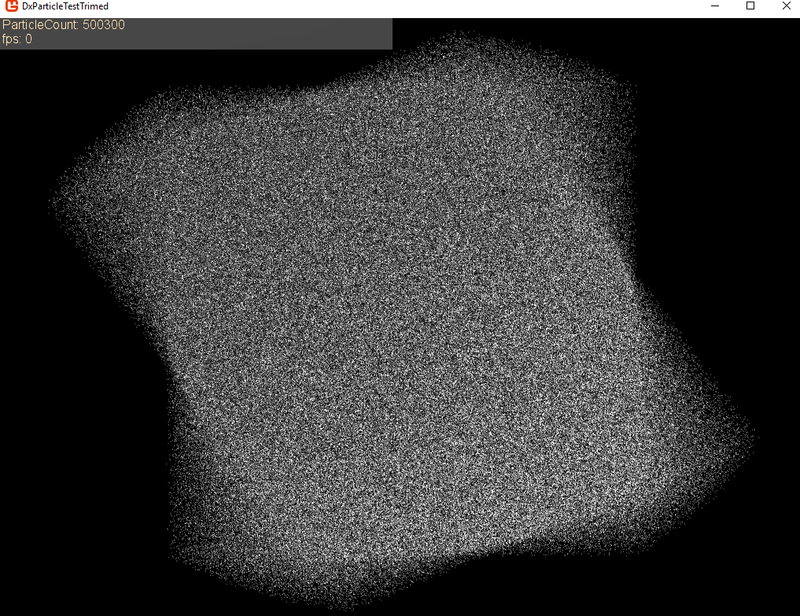 Here is one of my instanced shaders were you can see im sort of doing the same thing. As you can see there is very little data passed this way. float3 InstancePosition : POSITION1;  // the number used must match the vertex declaration. it eventually spins up to look like a galaxy rotating and each individual particle is doesn't need to be continually updated with a position just a single time variable at the start of each frame is incremented. Here is a full example project not sure if its using the same shader or just with the other option.